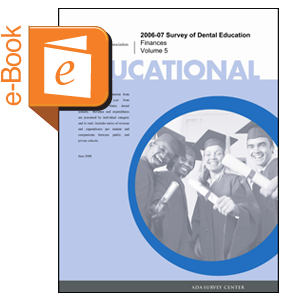 Provides financial information from the previous fiscal year from accredited United States dental schools. Revenue and expenditures are presented by individual category and in total. Includes ratios of revenue and expenditures per student and comparisons between public and private schools. This is a downloadable report.